“Preferred resources” meaning anything but fossil-fuel-fired power plants. 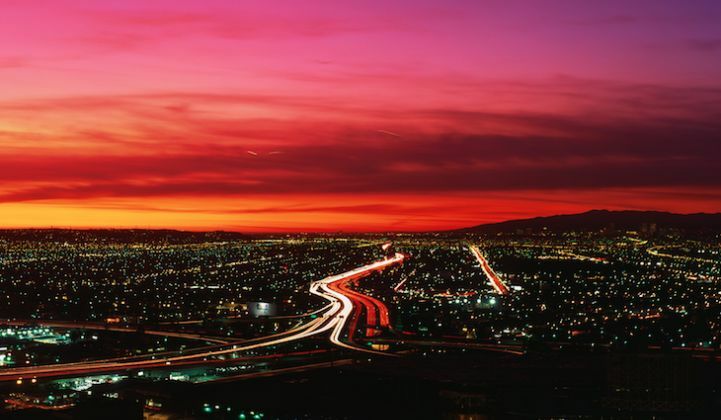 Over the past few weeks, we’ve been covering Southern California Edison’s 2.2-gigawatt grid services procurement for its West Los Angeles Basin region. With hundreds of megawatts of distributed solar power, energy storage, demand response and energy efficiency, SCE wants to manage local grid constraints, reduce carbon emissions, and test the ability of targeted, customer-sited and distributed assets to meet the needs traditionally filled by central power plants. This is a new proposition for the utility industry, and SCE is under the gun to prove to regulators, state grid operators and its customers that it can choose the right mix of technologies and economic models to make it work in a cost-effective manner. And it doesn't have much time -- SCE must replace or augment gigawatts' worth of nuclear and natural gas-fired generation that’s being shut down in the region by decade’s end. Enter SCE’s preferred resources pilot (PRP) project, launched early this year with the goal of bringing about 300 megawatts of these clean energy assets on-line over the next five years. Building on the specific needs of two substations in grid-congested Orange County, SCE hopes to develop an approach for managing distributed assets across its service territory -- and possibly, create models for other utilities to learn from. “If we can ultimately measure the local grid impact, and demonstrate that these resources can be used in an integrated manner to meet local capacity requirements, it has implications for the broader grid,” Caroline McAndrews, director of the PRP program, said in an interview this week. These are the same complex questions that utilities and regulators are trying to solve in states like California, New York, Hawaii and others that are revamping their systems to take distributed energy into account. "Preferred resources" means anything but fossil-fuel-fired power plants, essentially. That includes plenty of energy efficiency and conservation to cut down on load growth across the region, as well as demand response to shave peaks, shift load curves, and otherwise manage demand in close to real time. Since early this year, SCE has been rolling out efficiency and demand response offerings to customers served by its Santiago and Johanna substations in Orange County (PDF). They’re a bit more lucrative than the typical program, including a $300-per-kilowatt demand response program for commercial and industrial customers, and a residential program offering up to $100 in bill credits for cutting power use on peak days. It’s also looking for solar and wind power, as well as low-carbon energy systems such as fuel cells and energy storage systems, that can put electrons onto the targeted parts of the distribution grid. And, as with its demand reduction program, it’s willing to pay a bit more for prime location. Last week, for example, SCE announced a request for offers (RFO) seeking up to 50 megawatts of new distributed, renewable generation to help fill out this supply side of its portfolio. Orange County, like much of the Southern California coast, gets a lot of morning fog and cloud cover, which makes it hard for solar projects to compete against those located in California’s blue-sky inland regions. It’s also densely populated, which means that land for solar developments can be expensive and hard to find. 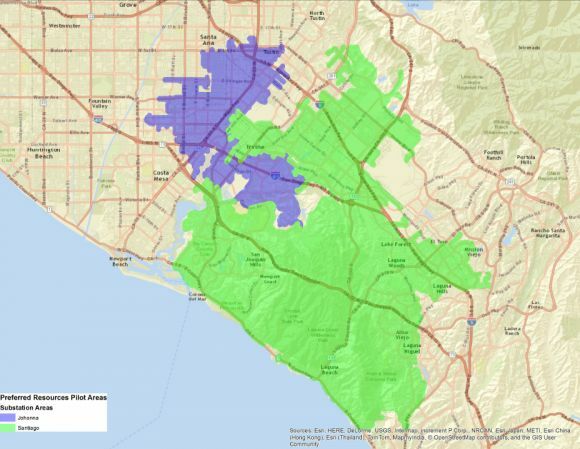 SCE has another critical reason to want more energy in southern Orange County. 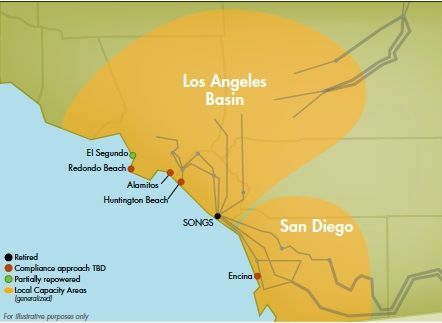 Last year’s closure of the 2.3-gigawatt San Onofre nuclear power plant forced it and neighboring utility San Diego Gas & Electric to look at what could happen if the coastal transmission corridor linked by that power plant were to go down, along with another big transmission line loss -- a so-called “N-1-1” event. That means that all of SCE’s PRP project resources must be able to support these two substations in the case of such an N-1-1 event. A big part of the pilot will lie in collecting data on several unknowns around this process, like how many customers follow through on their promise to reduce energy use at critical times, and how often the region’s intermittent solar power generation happens to coincide with times the utility needs it to be there. California is seeing the country’s fastest growth in customer-sited solar power, which could help fill in some of the region’s needs. 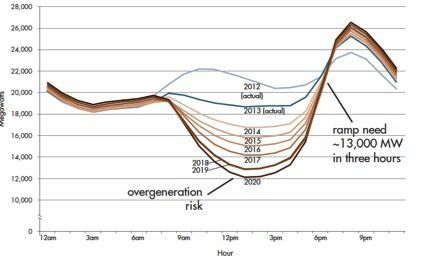 But that could cause new problems, in the form of the “duck curve” -- the pattern of falling demand at midday, and steeply rising energy demand in later afternoon and early evening, that is bringing new grid management challenges to the region. SCE is working with state grid operator CAISO, as well as the California Public Utilities Commission (CPUC), to determine the rules for how distributed resources will be measured for these needs, she said. All of this data will be useful for helping SCE negotiate its path forward in the state’s emerging grid-edge landscape. California regulators are asking its investor-owned utilities to procure 1.3 gigawatts of grid energy storage by decade’s end, and to continue to bring more and more intermittent wind and solar power into their power mix. The CPUC is also asking SCE, SDG&E and Pacific Gas & Electric to integrate distributed energy assets into their $6-billion-per-year distribution grid operations and management plans.